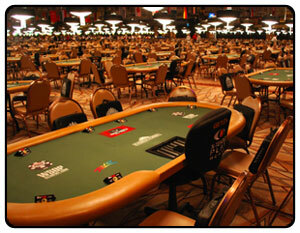 One of the most overlooked skills in poker that could be costing you money is table selection. Picking the wrong table, or staying at a tough table, or one that isn’t very profitable can be just as costly as misplaying a hand. While many training sites and forums discuss how to play certain hands and other skills involved in poker, table selection gets swept under the table and should be one of the first skills a poker player learns. When playing Online Poker, players are presented with an extensive selection of tables to choose from. This concept really only applies to online poker and in particular cash games. Playing live, you are much more limited to the one table you are sitting at and can’t easily keep getting up to move to another one every few minutes. Poker Table selection can be described as using the statistics listed for each table to select the most profitable tables to play at and constantly be on the lookout for a better one. Why is Table Selection so Important? Lets dream for a minute… Put yourself in a fantasy scenario where you are up against the top Pro’s in the poker world. You have Phil Ivey on your left and Tom Dwan on your right. A few spots down are Doyle Brunson, Barry Greenstein and Daniel Negreanu. Does this sound like a table that you will make money at? While it may be exciting, chances are, you’re going to go broke pretty quick. These players are all experienced and very skilled at what they do, that is why they are professionals at the top of their game. When playing poker you want to be playing against bad players, because these are the ones that will make mistakes and that you can use more skilled strategy to beat. Odds don’t lie, and if you play a skilled strategy that keeps the odds in your favour, then you will beat bad players in the long run. The beauty of playing online poker is the ability to constantly switch tables and scout the lobbies for better ones. You are costing yourself money if you are not doing this on a regular basis. Often times a table will start off good with a few fish (bad players) giving you lots of profitable action. As time goes on, players will start to leave and new players will join in. Some of these new players will be solid regular players and the table may have now become less profitable and making money will be much harder than it was with the bad players. However, out of laziness, or simply lack of knowledge, you continue to sit at the table, costing yourself precious money that could be won at a juicier, more profitable table. This is where table selection and constant re-evaluation comes in and you should be looking for a new one ASAP! There are many factors that will make for a potentially good table to play at. Obviously you want a few bad players along with players who aren’t afraid to put money in the pot. Playing at a table full of nits (tight players who hardly play a hand or put money into the pot) is the worse experience in poker. I would rather watch paint dry to be honest! You may be asking “How do I find a good table?” The answer is simple and you will be surprised how easy it is to find a juicy table to boost your win rates and be a more successful player. When you look at the lobby in a poker client, there is a detailed list of all the poker tables available to select to play at. What is often overlooked is that these lists contain precious information, various statistics that you can use to assess if a table is worth playing or not. First it will list the basic information such as the game type, stakes of the table and the number of players currently sitting at the table. After that you will find the important Stats that we will want to focus on. The average pot size will tell you exactly that, how much the average pot size is. This is a really good indication of whether the players at the table are loose or tight. The higher the average pot size, the looser the players are and the better the table is likely to be. Why? Because players are more likely to pay you off when you have a good hand, and are much more likely to be committing money into the pot with weaker hands. Right now I’m looking at the lobby of my poker client, browsing through the $0.25/0.50 tables and I see one that stands out right away. I think it’s pretty obvious that the table with an average pot size of $11 is the best table by far. This is almost triple the average pot of the other tables and must mean that players are throwing money into the pot, and statistically they can’t have premium hands all the time, so they must be playing with weaker cards – a sure sign of inexperienced or weaker players. Straight away I want in – that should make for a profitable table. The player per flop statistic is another indication of whether there are a lot of bad players at the table. This is another stat which will stand out, since as a good player you know that Starting hand selection is very important and solid player’s will play fewer hands. So therefore it stands to reason that a table full of good players will have a a low number of players seeing the flop, this is a bad table selection and one we will want to skip. On the contrary a table full of bad players will have a high number of players seeing the flop, these are the tables we are looking for. At a 9 handed table, if you have 6 good players, the average Players per Flop percentage will likely be around 30% or lower. A good table with many bad players can be as high as 60%. That is not normal, but a good starting point for spotting a juicy table will be around 45% or more. If we look again at the same table list from above, we will see that the table that stood out to us with the irresistible Average Pot value also has the a high Players per Flop percentage of 49%. This table would be a no brainer to sit at. Not only are the players at the table happy to stick their money into the pot, but they are happy to do it with weaker hands as well! A third statistic that you should also pay attention to is the Hands per Hour. This will show how many hands are being played per hour at the table. But why is this Stat important? The more hands you can get through at a table, the more money you can make. A lot of players will break down how they make money playing poker by how much they make per hour. The obvious conclusion is the more hands you can play, the more money you will make. The hands per hour Stat should not be a crucial part of determining the table you play at. But, it can be used as a deciding factor if you find two tables with similar, juicy looking Stats. Hopefully, the information above has inspired you to take action and really look at the table you are sitting down to play at. You should always be looking for a good table and constantly reassessing whether you are in the right place at the right time. Vigilant table selection will prove to be worth its weight in gold when used properly. Just think about this for a second. You don’t have to be the best poker player to make money; you don’t even have to be good. You only have to better than the players at your table.